I was looking through my Achievements wall – and I actually have two “Kraken Unleashed” medals. So I’m pleased with that; huh. Still – who really cares about my personal achievements - but me? In the final analysis, giving yourself a pat on the back is a touch self-congratulatory and who really cares about these “medals;” you get them – but the high only lasts for a microsecond – then any sense of achievement is soon forgotten. World of Tanks does the same thing; reward you with “Medals.” There’s the basic: Top Gun, Sniper, Steel Wall; and then there are the extra especial ones like the Kolobanov’s Medal, Fadin’s Medal. These medals only have value – if you really care about your performance; your lone performance. There is of course the Brothers in Arms achievement recognition - but overall these awards are for your performance and yours alone. This same self-centred performance measure in WoT has been ported across to World of Warships. It’s a case of “You did great but your team was a bunch of losers.” No mention of team-effort, because such an occurrence is a novelty. For a team-game – WoT and WoWs are fundamentally – Single-player enterprises. If no one sees this as a flaw – then carry on with the joyless game play we paying pundits have to put up with – until something better comes along. But someone should point out that this is an appalling indictment against the game’s design. It should reward Team-play and not “I carried the whole session all by myself.” Barring Clan games, platooning or divisioning, there is no Team-play at all in WoT or WoWs! How can W.G solve this fundamental issue and make this game resemble some sort of team-effort? As I have proposed before, move away from “capture the flag” game-play into making the survival of your fleet or group – as in keeping formation for example – as the primary objective. How would this be implemented in practice? As I proposed in mentioning “Crossing the T” as a tactic, the option for “fleet formations” is not a gag on the player’s ship movement. What it should do is encourage team work through rewards for keeping formation. The naval formation of “Ship-of-the-line;” means what it says; all the ships keep a line – one after the other. If they engaged the enemy at right angles – they would be “Crossing the T.” If the players peruse such formations (and I’m not an expert on naval tactics; that’s the job for the developers to find out) then they will be rewarded. For example: if 5 ships achieve a ship-in-line formation for the bulk of the game-time, they will be rewarded double credit and experience. If they execute a Crossing the T assault on the enemy, then they are further rewarded – with extra credit and experience. There are also statistical advantages in keeping formation; the sigma figures will be optimized for ships participating – making their salvos more accurate than otherwise; their chances for fire and flooding are also reduced. Ships who do not participate in the formation can operate as they are, but since the “capture the flag” incentive is gone – they really are just waiting for either destruction or victory. The difficulty however (since I don’t know all the answers) is what role does each class of ship play? What will destroyers or cruisers do, whilst the battleships play “follow the leader”? Perhaps destroyers do what they are good at, which is to scout and harass enemy shipping-formations. Cruisers could form a secondary line of support for the battleships. Whatever the solution, playing their assigned roles and not roles they can’t fulfil (a destroyer attacking a battleship should be penalized. I know it’s a game and it does work here) will be rewarded by having their stats optimized; scouting could perhaps optimize the concealment parameters of a destroyer whilst engaging a battleship – penalize manoeuvrability. I can hear a wall of inane laugher rise from the forums - from sceptics reading this, but I can well imagine how it could work-out and with what results. W.G would turn a “lone wolf” game masquerading as an online fake-team-game, into something akin to League of Legends where Teams actually do work as teams; where no single person (Flamu style) is saviour of the whole. I mean – the 5 ships number is just a proposal; depending on the matchmaker. If all players came in battleships and participate – that would be even better. You’d be recreating famous historical battles in some instances. However the future of World of Warships turns out, the capture the flag game play – although comfortable and easy to grasp for newbies, is tired and uninspired. It’s just too simple. I realize it’s touted as an arcade game and not a simulator; it’s a no-brainer that a game with 15 or so players on each side – cannot possibly be a simulator; I get that already. WoWs however, claims to be a team game - at least it seems to look like one; it’s not a team game if medals are awarded for single handily carrying a match. W.G can do better. there is no Team-play at all in WoT or WoWs! So you think that random players will work together if you present them with even more credits and XP to skew the ingame economy? At the moment - there's no way to know since there's no incentive for "team-play." But people's selfishness can be put to good purpose; offering extra cred or XP - is not an unreasonable idea. They have to start somewhere. It's not rubbish; it's reasoned out; having an attitude "I can carry a game - so f you" is just not right. It''s kinda - err - self-centred. I'm not saying things will change; but as long as it stays the same - and there's not point in team-playing - in Random matches - then I'm happy just enjoying the eye-candy and blowing s*it up. You are already rewarded for playing well, see how well its working out for most people? Of course, you dont. Because a ton of people simply dont care. In fact, a lot of people will be put off because someone like you wants to force them to play a certain way. Crossing the T is a nice concept in real life warfare but it doesnt really work here because ships can turn very quickly in the game so youd end up with 2 lines of battle duking it out. Then you get something very similar to EVE Online where most large battles consist of sub-unit commanders calling out order of targets and as those targets get killed, usually by a single volley, you switch over to another target, its not much fun let me tell you that. There is. If you win, you already get more XP. And you think that even MORE XP would solve the issue? No. I've played enough randoms to accept that fact, that in random games, no such thing as reoccuring, permanent teamwork exists. It happens occasionally, and it's great when it does, but if you really want team work: Clan Battles. There's a penalty - it's called losing; but losing because you did not stay in a circle is - crap. It's not just the wining - it's the playing also. Well, thats how military works, you get orders and youre expected to follow those. Sometimes those orders dont make much sense because either the commanders are full of crap or they just dont have all the information. Youre still expected to follow those. Besides this is a game. I like caps because that rewards good strategy and situational awareness and you can win without just being a damage farmer. And now people should not get rewarded because the did not want to be in a formation that would lose them a game? That's your opinion. There are also role/function-based formations present in the game so the rest of your "suggestion" is rather pointless as well. there's no incentive for "team-play." Thats not true, you can pay for premium to win more. Everyone knows premium players win more often. Barring Clan games, platooning or divisioning, there is no Team-play at all in WoT or WoWs! This proposal comes down to imposing arbitrary limitations and requirements in the game which will often result in death. Encouraging crossing the T in WoWS is encouraging a shooting duck gallery for the enemy team. I'm sure just about everyone can attest to how trivial it is to hit enemies that sail in straight lines. Then comes the Shima divisions that will look at that neat little formation and laugh. I'm sure that flooding reduction will look great against the 280% flooding chance or something? Formations are easy to maintain on the open ocean, less so around the tactical battle area that occupies the majority of WoWS maps. This proposal is asking the players to play, in the context of game mechanics and armor schemes, very stupidly and then just mechanically reward them for acting in a suboptimal way. World of Warships is a tactical shooter where flanking, ambushes, and ingenuity should be rewarded, not turned into an inane shooting gallery. Crossing the T won't even work considering how easy it is to turn a ship around in this game. And have you thought about the technical implementation of this? I'd hate to be the programmer asked to write the algorithm for a code like this. The difficulty however (since I don’t know all the answers) is what role does each class of ship play? That brings up yet ANOTHER problem. Are you actually going to suggest that ships like the Henri, the Stalingrad, and the Minotaur are all expected to sit in one little box and play nice with each other? Really? You expect a Yamato to cross a T as well as a Montana or a Khabarovsk to scout as well as a Shimakaze? What will destroyers or cruisers do, whilst the battleships play “follow the leader”? 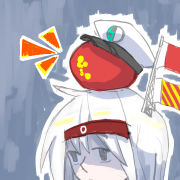 Perhaps destroyers do what they are good at, which is to scout and harass enemy shipping-formations. Okay, where to even start? You want the battleships to play 'follow the leader'? I take it you have never seen the Shimakaze's infamous great wall of torpedoes? Secondly, destroyers (traditional destroyers, not that monstrosity from the Japanese masquerading as a destroyer) are really good at sinking a LOT of ships as they lemmingtrain their way obliviously from one side of the map to the other. I doubt that many people will care much for XP or credits for sailing in formation once they see the triple Shima division on the enemy team. Destroyers are great at harassing formations that, say, crossing the T creates. Cruisers could form a secondary line of support for the battleships. Ha. Good one. I'm sure that the Des Moines and Moskvas of the world will have a great time sailing perfectly broadside supporting their battleships whilst the apparently significantly tactically inferior enemies angles properly, uses the islands to their advantage, and sinks the 'teamwork' fleet within the first 5 minutes of the game. Whatever the solution, playing their assigned roles and not roles they can’t fulfil (a destroyer attacking a battleship should be penalized. I know it’s a game and it does work here) will be rewarded by having their stats optimized; scouting could perhaps optimize the concealment parameters of a destroyer whilst engaging a battleship – penalize manoeuvrability. Destroyers in this game spend most of their times (when they're not trying to kill each other) trying to kill battleships. Why should they be penalized for that? Also, where does scouting end and attacking begin in this model of yours? Some destroyers spot enemy ships precisely by shooting at them and drawing fire. Have you never seen a Khaba in action? I can hear a wall of inane laugher rise from the forums - from sceptics reading this, but I can well imagine how it could work-out and with what results. Laughter is not what I'm doing right now. It's fine though, all that blood didn't need to stay inside of my eyes anyways. Indeed. The battleships and cruisers and destroyers all could just line up, sail in formations for hours, before planes crest the horizon. They can then spend the next few hours hoping that their own carriers don't lose the air war. They can then all get bombed to death. I'm sure people will have great fun with that. Did you just suggest double XP for forming a lemming train? Yes that's definitely what we want to encourage. I didn't get much further than that because all threads that mention "crossing the T" I stop reading. This game is not realistic in that sense, nor is it intended to be, and you're the 8,000,000th person to suggest this. Guy who performs like absolute garbage in the game wants people to line up in formations that will inevitably lose them the match and make them easy pickings while construing it as "improving the game" and "encouraging teamplay". Hey! - most players are garbage; wake up and smell the coffee. What are you - some sort of Unicum or something - stat pader you. I just want to improve everyone's experience. The crossing the t - is unimportant; the group effort is what is needed. I explain this in Prt 3 - my latest post. I'm pretty sure no one has mentioned the Pareto principle in this forum. If they have then - they are right.
. The battleships and cruisers and destroyers all could just line up, sail in formations for hours, before planes crest the horizon. They can then spend the next few hours hoping that their own carriers don't lose the air war. They can then all get bombed to death. I'm sure people will have great fun with that. You miss the bit about being given improved stats whilst in formation. Currently - you would get vaporised if you sail in any formation in the game; there is absolutely no incentive creating the Crossing the T. But that's just my proposal for mimicking real sea battles; the team effort is what I'm really after. I explain the reason for team effort in Prt 3 - my latest post. I do play the game - and have watched lines of ship - acting like ducks in a shooting gallery; but that's how it works at the moment. If flags on ships can speed them up (what the hell is that all bout) then ships adopting a classic naval formation being given stat advantages is not asking too much. Why not? They are forced to play together anyway; as in the lineup. They just disperse and go their separate ways after the timer hits zero.